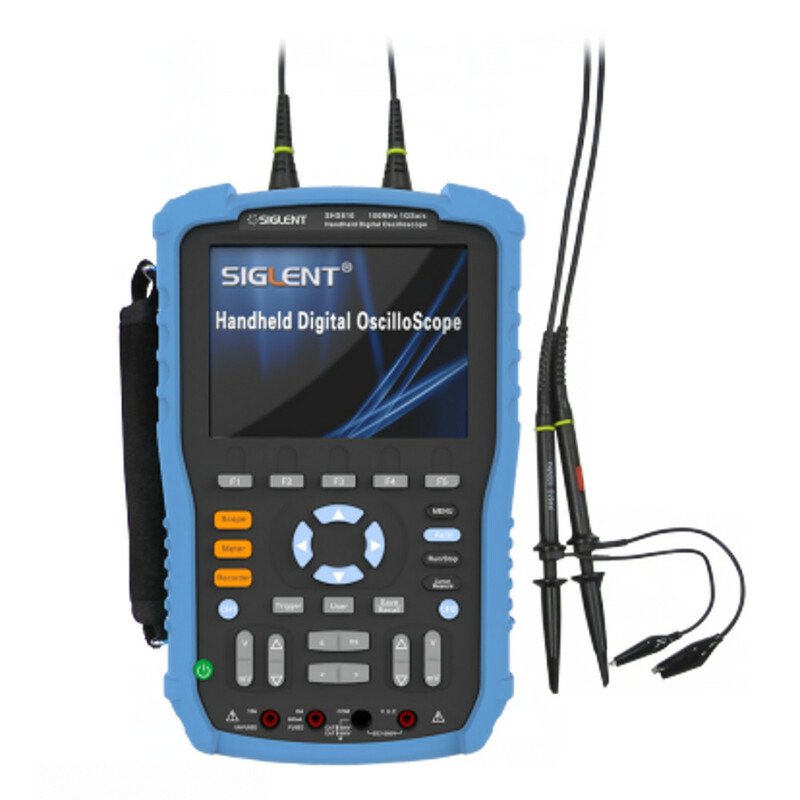 The SHS815 is a portable oscilloscope that is ideally suited for use in outdoor applications, circuit measurements, wind power, PV and new energy equipment testing, automotive electron and electric automobile testing, electrical power systems and strong electricity testing, electrical debug testing, education, scientific research and quality control. 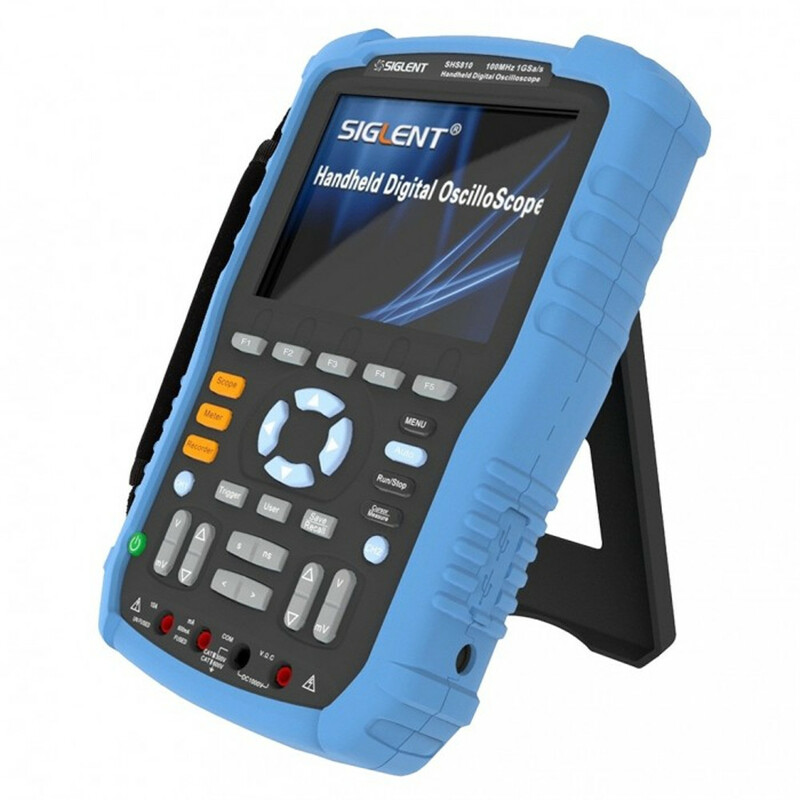 In fact this device is more than just a digital handheld oscilloscope; the SHS815 is a combined unit which includes an oscilloscope, multimeter and recorder for documenting waveforms using Trendplot and waveform Recorder. All of this is built into the same unit, making this product ideal for a wide range of different testing scenarios like those listed above. This product features bandwidth of 150MHz and is able to measure both single channel (with real time sampling rate of 1GSa/s) and double channel (real time sampling rate of 500MSa/s) and has overall memory depth of 2Mpts. The screen of this device is 5.7 inches in size, and is full-colour for easy waveform tracking and viewing. The in-built multimeter in the device is capable of measuring DC/AC Voltage, DC/AC current, resistance, diode, capacitance and continuity. Additional features of this product include rise time of ≤5.8ns, input impedance of 1MΩ±2%, 18pf±3pf, equivalent sampling rate of 50GS/s and multiple trigger types (Edge, Pulse, Video, Slope and Alternative).